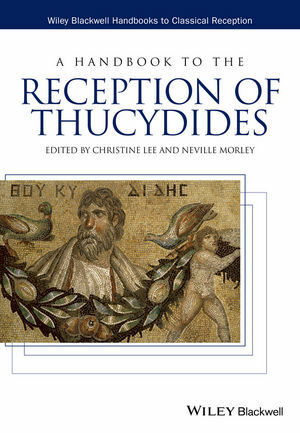 A Handbook to the Reception of Thucydides offers an invaluable guide to the reception of Thucydides, with a strong emphasis on comparing and contrasting different traditions of reading and interpretation. Christine Lee is a tutor at St. John’s College, Annapolis Maryland. Neville Morley is Professor of Ancient History at the University of Bristol. He is the author of Antiquity and Modernity (Wiley Blackwell, 2009), The Roman Empire: Roots of Imperialism (2010), and Thucydides and the Idea of History (2014), and co‑editor of Thucydides and the Modern World (with Katherine Harloe, 2012).